Participatory sound performance that invites participants to explore a section of the High Line gardens at night by flashlight. 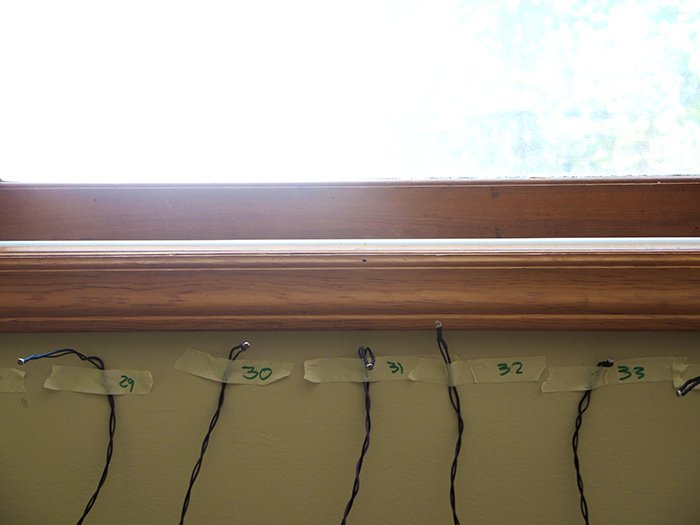 A grid of hidden sensors monitores the fluctuating light conditions, sending data in real time to trigger acoustic responses. The piece was presented in July 2016 as part of UpLate and commissioned by Friends of the High Line. The result was an spontaneous symphony that emerged out of communal interaction and collective curiosity. This is an interview about the piece. 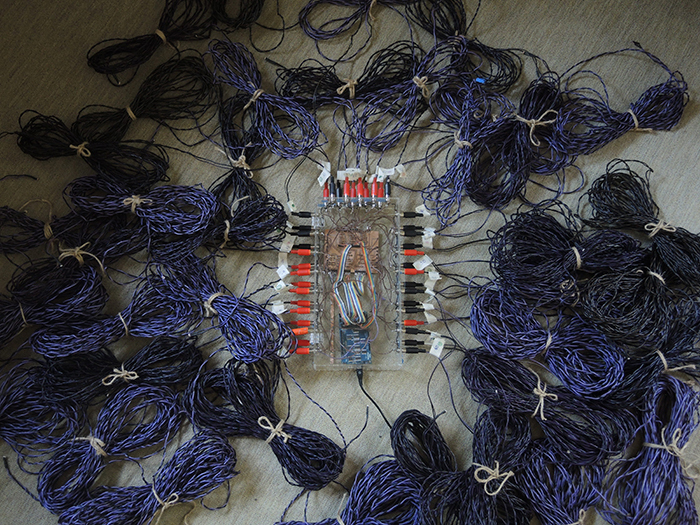 40 light sensors embedded in the landscape connect to a micro-controller through a Mux Shield II and a custom PCB. The sensors measure the intensity of light from the audience’s flashlights, while custom software made with Max For Live translates the fluctuating light readings into changing sonic outputs. I assigned a unique sound to each species of plant, giving each one its own sonic identity. 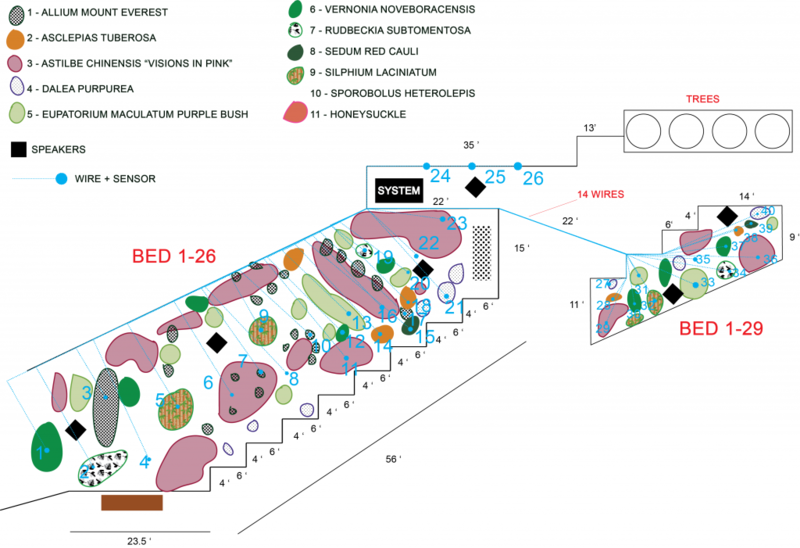 Below is a map of the installation, showing the placement of sensors by species and location. 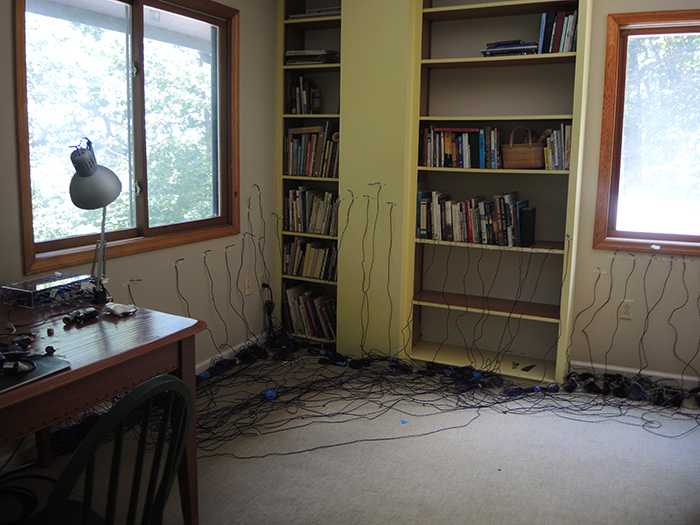 The piece is based on an array of synthesized sounds and field recordings I developed during my residency at North Mountain, in the woods of West Virginia. To give the audience on the High Line the experience of a constantly changing sonic landscape rather than a recurrent loop, I programmed the composition to continually mutate and evolve over time. Below are some photos of the developing installation at North Mountain during the composition process. 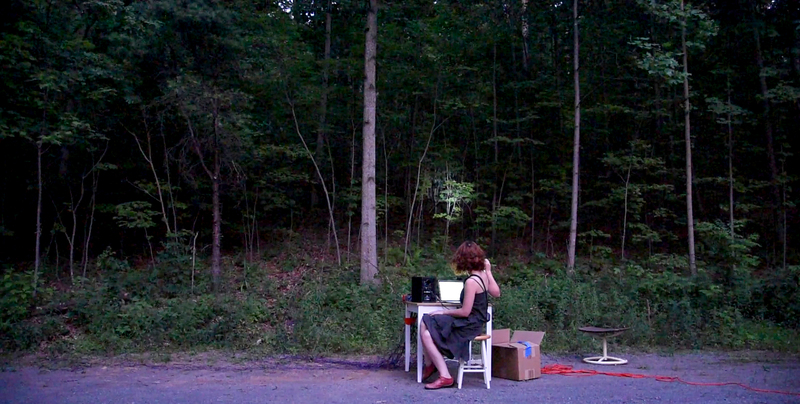 During the final two days of my residency I installed the system in the woods outside my cabin, where I conducted the piece’s first rehearsal with the help of three others.